Critical Intelligence for commodity traders and analysts. Get the complete picture of energy cargo trade flows with superior global supply and demand insight to stay ahead of the competition and strengthen your in-house analysis. 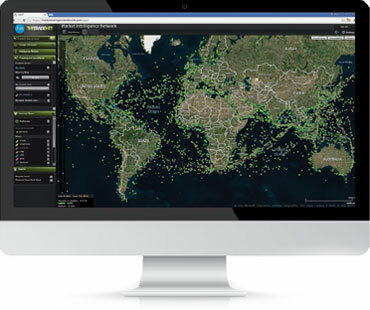 Visualize, quantify and monitor commodity trade flows between regions, countries and ports with world-class cargo, charter and voyage intelligence. MINT's Intelligence modules cover Crude Oil, Clean Products, LNG, LPG, Coal, Iron Ore and Bauxite. Build customised real-time and historical reports for gaining insight into vessel utilisation statistics, vessel activity at port, region and country level. Sort, filter and export reports for conducting further analysis and integrate MINT's intelligence into your own systems. Detect and trace real-time and historical STS operations to fully trace movements from load to discharge even when cargo is exchanged at sea. Track and analyse your own and competitors' bunkering operations at berth, inside port zones and in open sea. MINT provides commodity trading, energy and bunkering companies with the market leading online tool for vessel tracking and surveillance of energy commodities from load port to discharge, direct to the terminal and berth facility. Know exactly when and where your customer’s and competitor’s cargoes are heading at country, regional and port level. MINT's easy to navigate map based interface allows users to quickly visualise real-time and historical vessel positions delivered from Maritime & Trade’s leading ships, ports and global AIS network intelligence. Visually track vessels carrying waterborne cargoes of oil, coal, gas and iron ore from load to discharge, enabling trading houses and bunker dealers to make smarter decisions. Product trials are available upon request. IHS Data © IHS Global Limited, 2016 operated by Tradenet Commercial Networking Ltd. All Rights Reserved.